On Saturday, May 4th, WCT continues its highly touted Jazz Masters series with the Gerry Malkin Jazz Collective, five renowned jazz artists who have been called a “quintessential… group that plays top-notch music” with pedigrees that “run deep in the jazz hierarchy.” Led by Malkin on tenor sax, the collective’s post bebop sound interprets music of the classic era of mid-twentieth century jazz, from Miles Davis to John Coltrane. 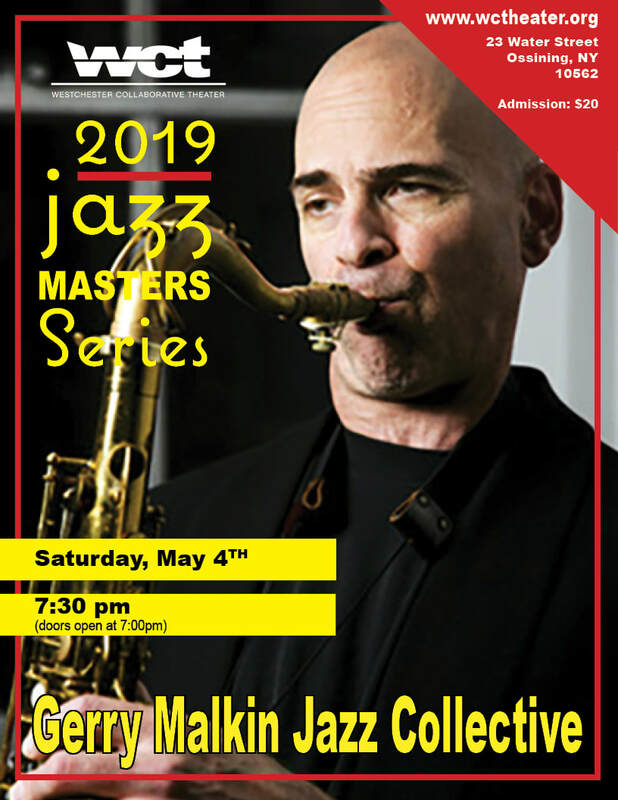 Malkin has performed with internationally known artists ranging from Motown legends The Temptations and The Four Tops, to Tito Puente, Steve Johns, Adam Nussbaum and Dave Weckl. The other musicians, Chris Morrison on guitar; bassist Mike McGuirk, winner of the International Society of Jazz Bass Competition; and drummer Bobby Leonard have also performed with numerous jazz greats including Maynard Ferguson, Kenny Garrett and Ruth Brown.